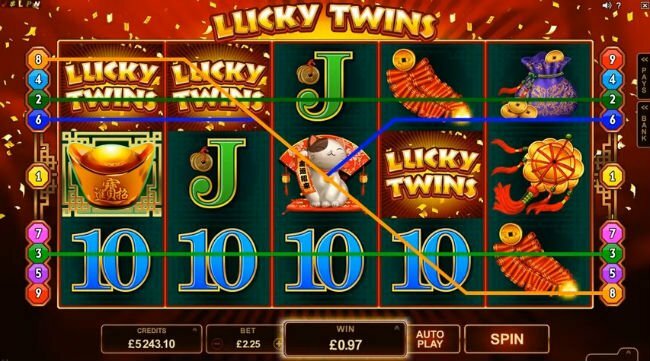 As predictable as the Lucky Twins slot game is, there is still something remarkably simple and pleasing about it, and the very rudimentary gameplay may be just the ticket for slot newbies to get to grips with. Lucky Twins is a brand video slot, which has been designed and developed by Microgaming. 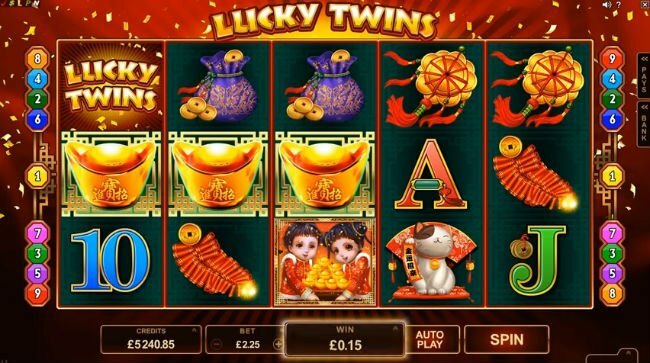 The Lucky Twins slot machine combines elements of luck, Chinese culture, and more into a stereotypical mish-mash of stuff we have seen before from Microgaming, and surprisingly new elements. Discover just what in our Lucky Twins slot review. Graphically, there are a lot of similarities between the Lucky Twins slot, and most other Asian luck and culture themed games. You’ll see a lot of golden coins, feathers, fans, golden hats, and much more in this title. IN fact, if it is lucky, and it is chinese, it will appear in the game. These symbols - combined with the high playing card icons - tend to give the “same old” feeling amongst players, though. We’ve seen this all before. One can only hope that the special features are more original. One of the more baffling aspects of the Lucky Twins slot game is that its 5 reels only support 9 paylines. That’s quite a petite amount if we're being honest. Even though there are only 9 paylines in the slot, you won’t be able to adjust any of them. They are fixed into place. Given that, Lucky Twins isn’t exactly going to cost you an arm and a leg to play. Not a lot of Paylines, Not a lot of options. Most players won't bother too much with Microgaming's new slot machine. Lucky Twins uses its own logo as a wild icon in this game. It can replace all other standard paying icons, though not other special symbols. It is also worth pointing out that this slot contains “achievements”, just like in Microgaming’s other big-hitter, Jurassic Park. Aside from those features, though, there isn’t a lot else that really stands out in the Lucky Twins slot, at least in terms of Lucky Twins slot bonuses. The slot is not heavy in such features, which is potentially the most disappointing aspect of the game. The motto of the slot is that good fortune comes in pairs. In actuality,good fortune comes in threes in this slot. If a player can land 3 of the “twin” icons located anywhere on the screen, they will launch a free spins bonus round. Players can prosper from a random multiplier in this free spins bonus game. Although the Lucky Twins slot does have a surplus of decent prizes to pay, it is not equipped with a lot of special features. Throw in the fact that there are only 9 paylines, and a theme we’ve seen over and over again in this slot, and its prospects don’t look terribly brilliant. Fortune favours the bold, and it turns out that Lucky Twins certainly isn’t that. Even so there are perks. 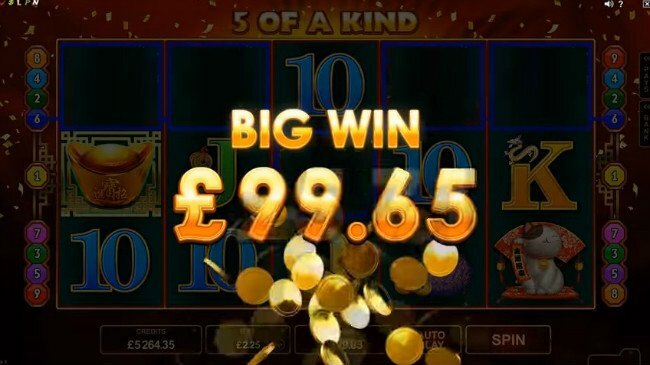 As predictable as the Lucky Twins slot game is, there is still something remarkably simple and pleasing about it, and the very rudimentary gameplay may be just the ticket for slot newbies to get to grips with.